A-HOTEL.com - Luxury and cheap accommodation in Volkovka, Russia. 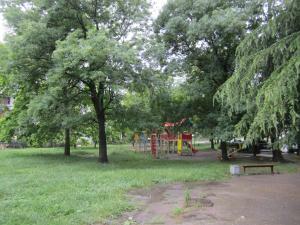 Prices and hotel, apartment booking in Volkovka and surrounding. This resort is situated 50 metres from the Black Sea Coast in Dagomys, 25 km from the centre of Sochi. White Nights Resort offers rooms with balcony views and a spa with swimming pool. Offering an outdoor pool and a fitness centre, Guest House Albatros is located in Dagomys. Free WiFi access is available. Сочи, улица Армавирская 72 is situated in Sochi, 14 km from Green Theatre, 16 km from Rivyera Park, as well as 17 km from Sochi Winter Theatre. Set 18 km from Sochi Summer Theatre, the property offers a garden. Featuring a seasonal outdoor swimming pool, Victoria Guest House is situated in Dagomys, 26 km from Orekhovsky Waterfalls. Boasting a terrace, this property is set near attractions such as Dagomys River Bridge. Offering a barbecue and children's playground, Juliet Guest House is located in Dagomys, 900 metres from the Black Sea beach. Guests can enjoy the on-site bar. Letnyaya Dacha is set in Loo, 2.7 km from Loo Water Park. Alaya Roza is located in Sochi, 500 metres walk from public pebble beach. Train and Bus Stations are located a 7-minute walk away. This 5-star resort is located in a quiet picturesque area. It features 2 swimming pools, tennis courts and a spa centre. Offering an outdoor swimming pool, Gornoe Ushelye Guest House is located in Loo. Free private parking is available.